The baroreceptor reflex is a fascinating medical phenomenon. The reflex is controlled by specialized neurons that react in just a fraction of a second to keep blood pressure fairly consistent. For example, when you stand up, your blood pressure normally drops–rapidly. Yet you don't faint thanks to baroreceptors, which tell your heart rate to increase and push more blood to your brain. A new Scripps Research study pinpoints the two proteins that sense blood pressure and help control the baroreceptor reflex, according to research published recently in Science. The research is the first to reveal exactly how "mechnotransduction," or the sensing of changes in pressure, works in these cells. "Tight regulation of blood pressure is essential for health," says Wei-Zheng Zeng, PhD, a postdoctoral associate at Scripps Research and first author of the study. "Blood pressure is acutely sensed by baroreceptor neurons, but the mechanism of how baroreceptors sense blood pressure remained a mystery for more than 100 years." 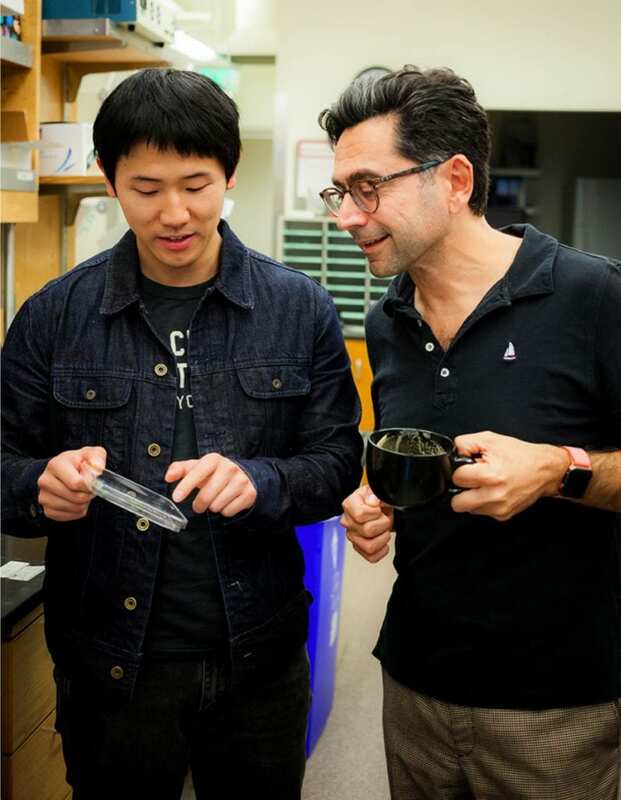 The two proteins–PIEZO1 and PIEZO2–were originally discovered in the lab of study senior author Ardem Patapoutian, PhD, a Scripps Research professor and Howard Hughes Medical Institute investigator. In just the past few years, it's become clear PIEZOs do a lot of work. The Patapoutian lab has shown PIEZOs are responsible for sensing pressure in the lungs, different kinds of pain and soft touch. PIEZO1 even helps red blood cells keep their shape. The scientists focused on PIEZOs as possible players in the baroreceptor reflex because the genes for PIEZO1 and 2 are expressed in sensory neurons responsible for the reflex. Indeed, in the recent experiments with a mouse model, the scientists found that both PIEZOs are necessary for maintaining blood pressure through the reflex. "Our motivation for this study was rooted in basic science, yet these findings could have major translational implications by improving our understanding of human health," says Patapoutian. While it is still basic research at this point, scientists think PIEZO1 and 2 in baroreceptors may work as possible therapeutic targets to help people with "drug-resistant hypertension," a common clinical disorder defined as uncontrolled high blood pressure by drugs, says Zeng. "Knowing the identity of the sensors for blood pressure control gives us an idea of how to develop better therapies to treat patients who suffer from drug-resistant hypertension, or any other problems with blood pressure control," says Kara Marshall, PhD, postdoctoral associate at Scripps Research and co-author of the study. The scientists recommend further studies of how PIEZO1 and PIEZO2 work together and how they may function in different populations of neurons. "We are also interested in understanding how human genetic changes in the function of these proteins might affect blood pressure regulation," says Marshall. Additional authors of the study, "PIEZOs mediate neuronal sensing of blood pressure and the baroreceptor reflex," were Ihab Daou of Scripps Research and HHMI; Soohong Min and Stephen D. Liberles of Harvard Medical School and HHMI; Mark W. Chapleau of the University of Iowa and the Veterans Affairs Medical Center of Iowa City; and Francois M. Abboud of the University of Iowa. The research was supported by the National Institutes of Health (grants R01 DE022358, R35 NS105067, DP1 AT009497, OT2 OD023848 and P01 HL14388), a postdoctoral fellowship from the George Hewitt Foundation for Medical Research. Patapoutian and Liberles are investigators of the Howard Hughes Medical Institute.